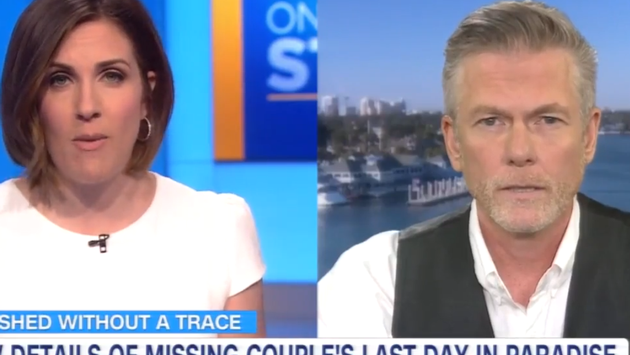 An American couple missing for two weeks in the Dominican Republic has raised questions regarding the safety of traveling to the beloved Caribbean destination renowned for its beautiful beaches, stellar all-inclusive resorts and fascinating history and culture. TravelPulse founder Mark Murphy joined HLN on Tuesday to discuss the unfortunate events and what steps travelers can take to ensure their safety not just in the Dominican Republic but any new destination. "There are some places that I just wouldn't rent a car and drive around and the Dominican Republic would be one of them. I would never recommend someone drive 100 miles in the cover of darkness in a destination they don't know at all," said Murphy. "They could have easily booked through a travel agent an excursion with multiple people which would amortize that cost. It might have been a little more expensive than the rental car or it may have been cheaper, we don't know. But that's how I would always recommend people travel because you're in an area you just don't know and they were literally 100 miles from the airport." Staying up to date, informed and connected is a great place to start regardless of where you're going. "Register for STEP (Smart Traveler Enrollment Program). You can do that on the State Department website. That way, embassies and consulates around the world will know where you're supposed to be, etc and they can also send you alerts in case the status changes while you're abroad, which is really an important thing to know." According to Murphy, travelers shouldn't read too much into the fact that the Dominican Republic gets a Level 2 (exercise increased caution) from the State Department as that puts it on par with other popular destinations such as France, Germany, the U.K. and even the Bahamas. "The reality is that pretty much any city you go to in the U.S. or anywhere in the world, you would consider Level 2. That just basically means to be aware of your surroundings, don't wander outside to areas you're unfamiliar with and take usual precautions like you would if you were in New York City or Chicago or anywhere else. That's pretty standard and doesn't raise too many alarm bells."